* CONSIGNMENT - Express Hobbies Inc. 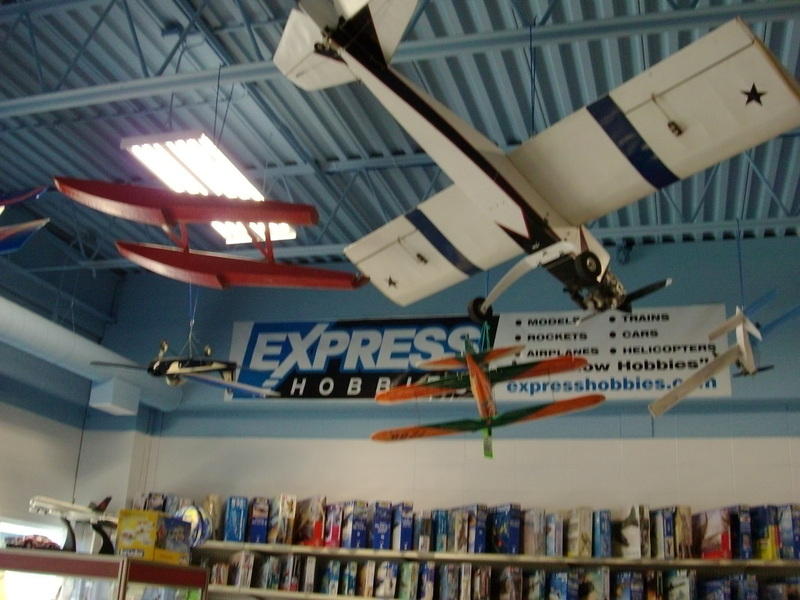 This has been run but has great compression. 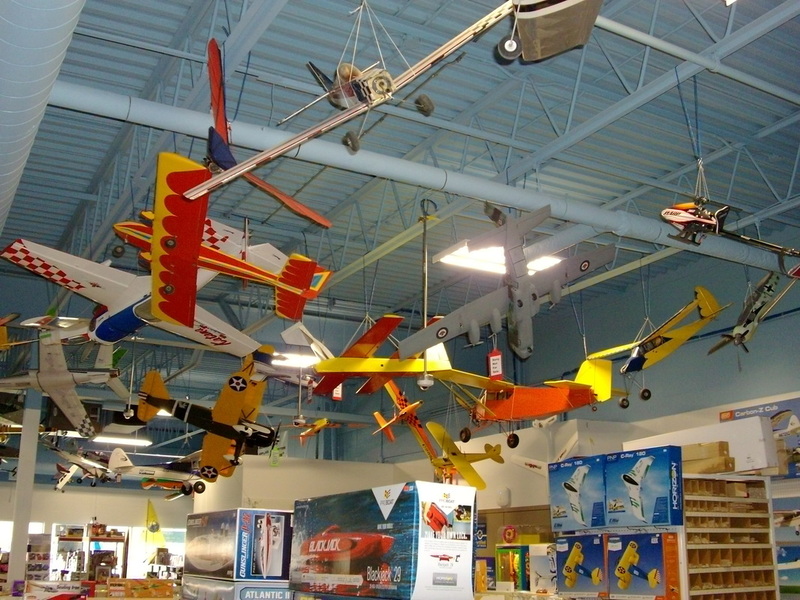 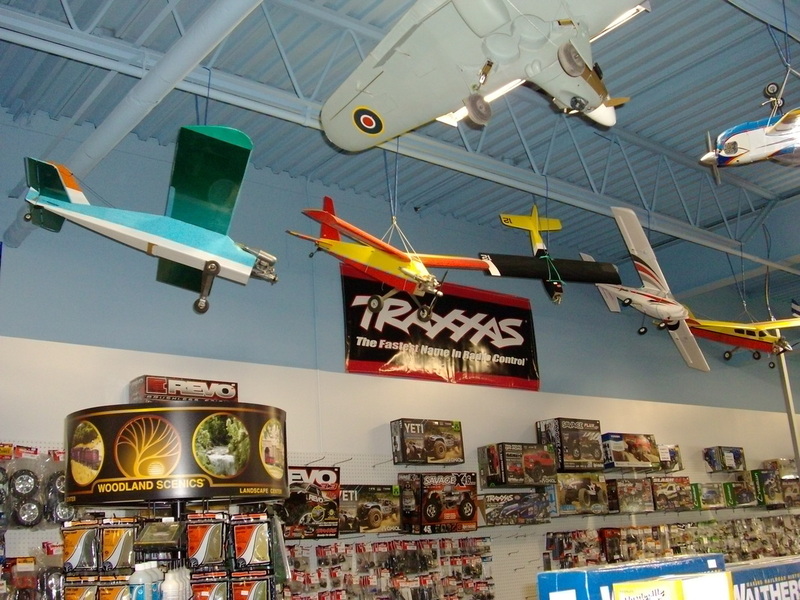 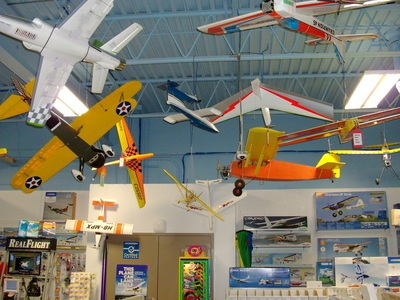 We have around 50 model aircraft for sale hanging from the ceiling in our shop. There is everything from electric to four-stroke to gas powered models in various price ranges. We also have a variety of unbuilt wood kits for sale from several manufacturers.